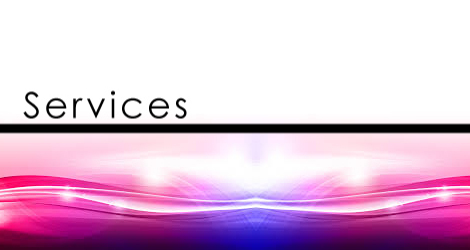 OEM & Aftermarket Copier Supplies | Frontier Imaging Inc.
Frontier Imaging was established in 1999 and offers one of the largest varieties of copier, print and fax supplies in southern California. Our inventory includes toner, drum, developer, upper and lower rollers, cleaning blades and spare parts. 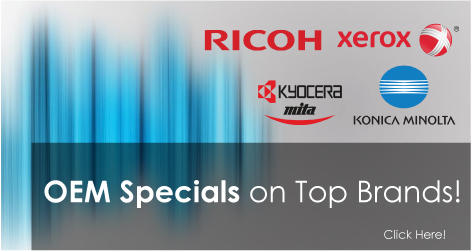 Along with our large variety of supplies, we also carry many of the major brands in the industry such as HP, Kyocera Mita, Canon, Ricoh, Samsung, Konica Minolta and many more. 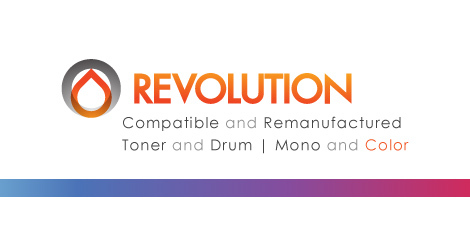 Compatible products are also available including toner cartridges, drum cartridges and many other parts and supplies. 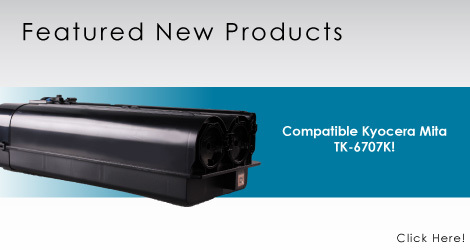 All of our compatible products are high quality and meet the standards of their OEM versions. If you want genuine products at a fraction of their price, be sure to check out our catalog. Our main warehouse is located in Compton, California, and we are able to offer 1-2 day shipping to Nevada, Arizona, Oregon, Washington and most of the west coast states at competitive rates. We are also able to offer a quick and convenient way for our customers to pick up their orders through our will call service. Just drive over to our facility as we are within driving distance from all major Los Angeles areas, and our friendly customer service representatives will be more than happy to help you. Our New Jersey warehouse can offer fast and reliable shipping throughout the east coast. We can ship both ground and LTL to make sure you have various options to receive your product and just like our California warehouse, we offer will call pickups at our New Jersey warehouse as well. When you submit your will call order, be sure to note that you want to pick up and we will have your order ready when you arrive at the facility! We would love to hear from you! Click the button below and fill out the form to let us if you have any questions or concerns!